This was my 2nd time attending Joycelyn's class. As usual, her teaching and recipes are very cleared and detailed. I believe she is a very well organised and neat person. Throughout the demo, her workstation was kept sparklingly neat and clean at all times. The atmosphere was a bit stern and bored as she seldom joke. Very different from Chef Daniel's class where the ambiance was more relax. Anyway, I didn't pay much attention as I was busying gossiping with K...lol! 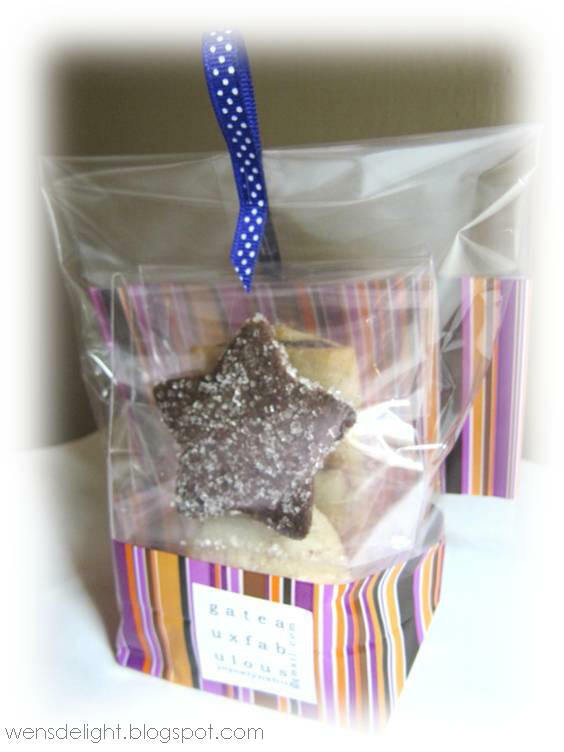 It's a holiday cookies class that gave us some new cookies idea for this coming X'mas as a giveaway. 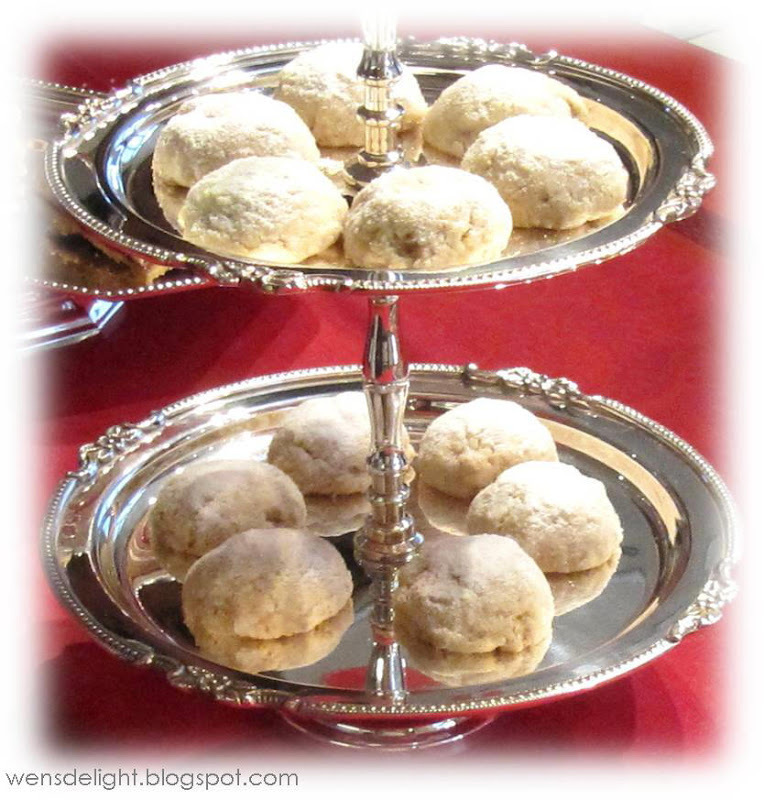 Also known as Russian Tea Cakes and Mexican Wedding Cookies, these delectable and delicate special occasion cookies, rich with butter and finely ground pecans, are the very definition of "melt-in-the-mouth". Infact is too tender and almost like melt in the hand. 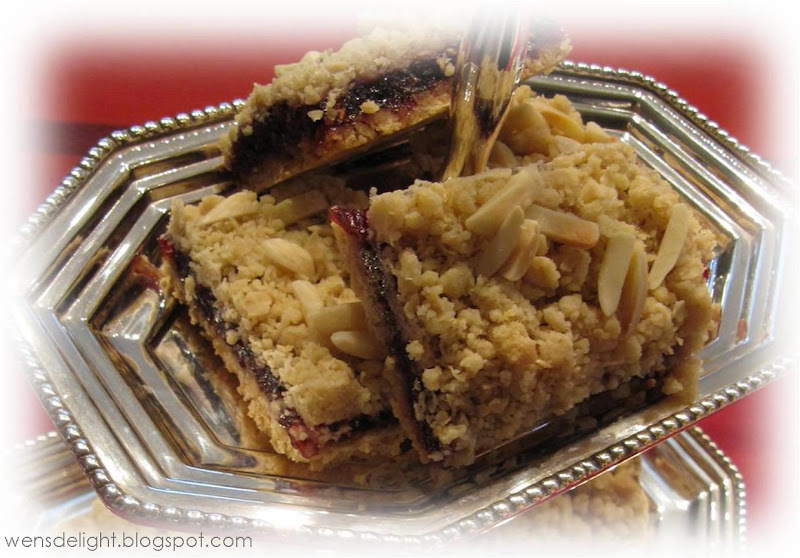 Though was really yummy but it's too crumbly and break easily with just a touch. So I was wondering how do we pack into the box or even serve it. I think I will try making this and see how it turn out. 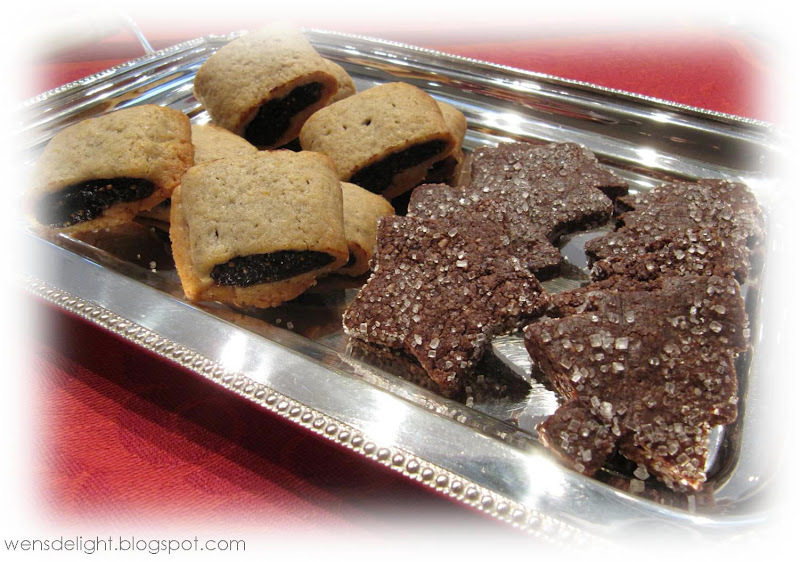 These 2 types of cookies are not my cup of tea. It's too authentic and European. I don't really appreciate all the spices used. A crisp brown sugar-and-oatmeal crust topped with a filling of raspberry preserves and dried cranberries. This was very nice and I will definitely try this out. Perfect ingredients combination but will be even better if it was more crispy though it suppose to be chewy. Nicely wrapped sample bags for every participants.